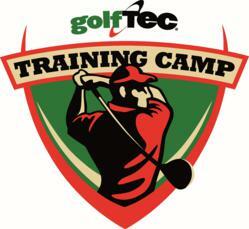 ITR is back with an all new episode this week as we speak with GolfTEC. Last week there was a new promotion launch called Training Camp and this show is full of great information about getting ready for the season. How does video-based practice contribute to success? What about clubs, is a club review or analysis included in Training Camp? How much difference will it make? The “training camp” concept really is a solid idea and a new approach. I also like how it is not just about the swing, but also the health/flexibility aspect. It really does sound like a well thought out plan that is extended over time and not just another lesson package. 3-5 shots drop in score projection is impressive if that holds true. i like how he compares the golf swing to losing weight and that’s it’s similar to a lifestyle change. Great program and great company! They know what they are doing! Very interested to hear from those that finish the program their thoughts on the process. He’s absolutely right, it’s a commitment to a change, a lifestyle change. The cost is relatively low cinsidering the return both mentally from playing well and physically from better form and lower scores. Finally got around to listening to this, great program. Im a huge fan of what Golftec does for golfers and Ashley did a great job going into detail about what they offer and why.